In case you are not aware of this, the USPTO has certain standards that should be met when submitting patent drawings for a patent application. A professional patent drawing can also be used to give everyone a better idea of what your invention is and how it is supposed to work. Why Should You Consider Patent Drawings Done By A Professional? A patent drawing may not be a strict requirement for every patent application that is submitted in the United States, but a drawing will be required when a USPTO examiner needs to fully understand something in your invention. So this basically means an inventor should get in the practice of submitting patent drawings with almost every application. If you fail to submit a patent drawing with your patent application, the USPTO may not be able to make a determination on if your invention that you have discussed in your application is the same. To avoid any confusions and instant rejections, you should always submit a patent application with a patent drawing. As mentioned above, the USPTO has several guidelines that are specific, and they must be followed when submitting your documents. There is a requirement that the drawings are in black ink. Sometimes color drawings are permitted, but this is only if it is necessary to understand the invention. If you are submitting an electronic filing, color drawings are generally not accepted. What should you mention when you are looking for a professional to create your patent drawings? If you are looking for patent drawing professionals and support, contact us today to get started. It is certain that many people who want to be an inventor and want to file a patent application will know little to nothing about the applications and resources that can be used to help them get through the invention process. That is not really unexpected because that is why there are so many patent drawing software and services available. You will realize that there are many patent drawing software and professionals who will offer their services to you. You will find that you can find a patent drawing software for free. Some of the software will have certain limits of use placed on them, but others will be completely free. The kind of software you choose will greatly depend on what type of invention you have and all of the requirements that will go into the drawing. A great benefit of using a free software is that they are simply that, “free”. A price of free fits perfectly within your budget, right? You can use the free software when you are in the early stages of your invention process. A free patent drawing software may seem to allow you to keep your money for bigger things later on in the invention process. However, it can be difficult to meet all of the USPTO requirements and guidelines that come with getting a patent, and you do not have to do it alone. Contact us today to find out how you can utilize patent drawing software to get the most out of your ideas. You have been waiting for that light bulb above your head to start shining, and it has finally happened. As a matter of fact, it is shining show brightly that you are hurting the eyes of everyone who come near you. You have finally come up with something that you think will the next best invention. What should you do with this invention? Should you tell everyone you know about it? Before you start talking to people about your invention, especially to the wrong person, you need to protect that next great invention. It does not matter if you wish to make your product available in the big markets or if you want to license it to a business, if you want to make money from your idea, you need to obtain a patent for your idea/invention. You do not want to be the person who only has an idea. You want to have proof that you are the one who came up with the idea for the invention. You should write down every piece of information you have that has anything to do with your invention. You should write down what exactly the invention is, how it is going to be used, and how you plan to market it. Writing down these ideas is a great step to patenting your invention and ideas. You should also look for a patent attorney or a patent agent to help you during this process. Yes, all of this may seem like a tough hill to climb, but you have various resources at your fingertips. It can all be a very long process, but if you have patience and do your research, the hard work will pay off in the end. If you need additional help on how to turn you idea into a reality, contact us today. If you have a patent, or are thinking of filing a patent application, you need to know the latest information from the United States Patent Office. One of the newest proposed rules dealing with patents in the United States is to facilitate better examination of patent applications and to provide greater transparency about the ownership of patent applications and patents. Better information about the competitive environment of innovators. Reduced costs of transactions for patent rights. Patent ownership more easily accessed. Reducing patent litigation by reducing frivolous litigation. More people can become innovators and file patents. A clarification of “attributable owner.” The attributable owner might be one that has the patent, one who has part of the patent due to a lawsuit, or one that has a connection such as a contract with the patent. Disclosure requirements will include company information, partnerships, and principle innovator information. This change is to prevent entities from avoiding disclosing by having complex corporate structures. Timing requirements. There will be a period of time that all disclosure requirements must be met, or the patent is abandoned. All of this discussion comes a year after the United States Patent Office’s roundtable and six months after a White House Task Force on patent issues. While changes are proposed, all of this will take time, as written comments on the proposed rules are due in March of 2014. Interested in more of the Latest USPTO news related articles? Just contact us, we are happy to help. USPTO Standards: Is My Product Patentable? You would think that it is simple to know which inventions are patentable and which are not. However, USPTO standards for patents are a little tricky; therefore, we will take some time today to discuss USPTO standards. Before filing for a patent, you will need to answer the ultimate question: is this product patentable? Obtaining a patent whether it is a utility, design, or plant patent can be difficult, please contact us if we can assist you. Software industry is a booming industry characterized by rapid product innovation. Moreover, as it is well-known, patent drawings are the best legal tools for protecting your intellectual property. One of the setbacks of software is that you cannot put it down on paper as a drawing. This has raised concerns about software patents recently. According to IAM Magazine, “Patents are stifling innovation in the US software industry and making it so much harder for companies in that space to thrive.” This means that if you want to excel as a software developer, you need to know how to distinguish your applications from others in the market, as hard as it can be. Typically, the software patenting process commences with a patent search. With this search, you will be able to determine if the subject matter of your innovation is patentable. You will figure out whether there are other patents comparable to yours in the market. This step is vital in preventing the concerned authorities from precluding allowance for your patent. After you have come up with the best patent, then you can seek help from a patent lawyer. A good patent lawyer will have the capabilities to understand and comprehend your innovation. They will help you determine additional aspects of your idea that can be included in the patent. They will as well take you through the legal process. Thereafter, you need to forward your application to a programmer, who will write the software patent code, which equals a blueprint of tangible innovations. When coding your invention, the programmer only uses the details outlined in the application. In this regard, you have to ensure that you do not leave out any details pertaining to your invention. It is always wise to include alternatives for technical mishaps that could lead to the rejection of the patent. Then you can officially apply for the patent after an inventor has reviewed it. More often than not, the examiner might think of the software innovation as broad and thus, reject it. However, with the assistance of a patent attorney, you can easily analyze these rejections and come up with a strategy that involves persuading the examiner and modifying the highlighted rejections. The above are steps that you can follow to patent your software successfully. When you have an idea for a new invention or design, you will want to protect your rights to enjoy the profits that it will generate. A patent issued from the U.S. Patent and Trademark Office (USPTO) will grant you the exclusive rights to that invention for a specified period of time. People are constantly coming up with different ideas and inventions, and not all of them require patents. If you have a truly original and marketable idea, you should consider investing the time and effort needed to obtain a patent to protect your idea and ensure that it is you who profits from its creation. A patent will prevent others from making, using, importing, selling or offering to sell your invention. Patent laws allow you to prevent others from using patented features that provide commercial value in their products. This will protect the exclusivity and market value of the product and its features. Patents are viewed by investors as a general indicator of value, and can be seen as official approval of your invention. A patent shows that your invention is protected against direct competition, making investment in it a safer proposition. A license can be sold to others for manufacturing your invention if you choose not to make it yourself. You will have the right to decide who is allowed to manufacture and distribute your invention, and you will receive royalties. A patent protects proprietary inventions and processes. These may not be commercially available to consumers directly, but do give a significant advantage in the manufacturing process. This can be an object or machine used in manufacturing, of simply the way in which the process operates. When you decide to patent your idea or invention you will need detailed patent drawings to present with your application. Contact us for more information. 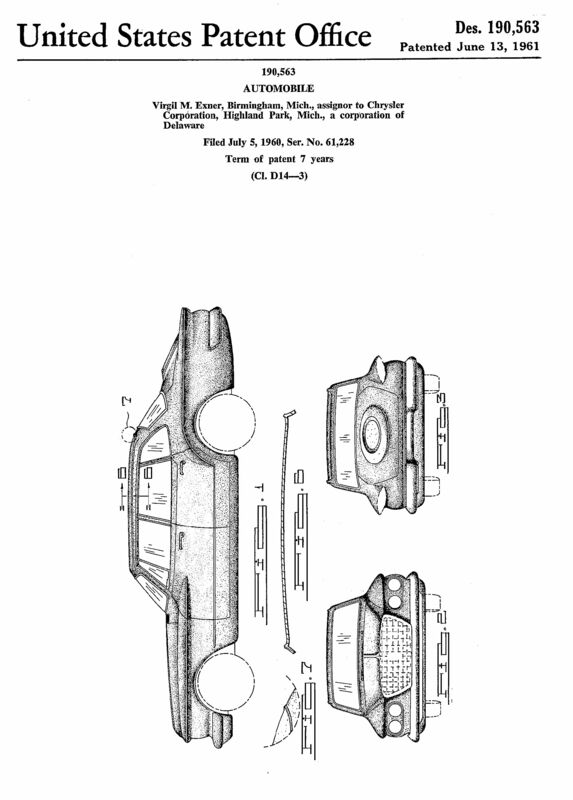 When looking at patent drawings, they are no less than the pillar of the business. It is through a patent that concerned parties including the government, investors and consumers will identify your firm. According to Inventors, “These drawings are there to offer understanding of how the invention works and to point out what is novel or new about an invention.” I could not agree more. 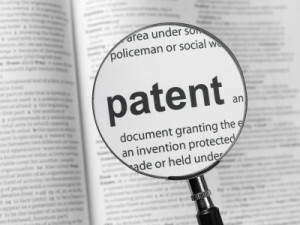 The one thing that you have to be familiar with, are the ever-changing rules on patents. This way, you will be able to abide to them and ensure a successful application and registration of your patent. To come up with good patent drawings without the aid of illustration software, you must be sure to use quality paper for the drawings. Ensure that the sheet of paper you draw on can be electronically reproduced and has a thickness greater than average printing paper. This is to mean that there should be no under linings, creases or folds on it. With these considerations contemplated over, you will be able to have your drawings easily illustrated. In the event that your invention cannot be described on a drawing, you can depict it using a photo. Ensure that the drawings are in black and white. The lines should be dense and well-defined. They have to be clear. For cross-sections, use fine lines and be keen that these do not make the reference characters obscure. This clarity helps in reproduction and more importantly in the comprehensiveness of your invention. Having said this, there are rare instances when applying color is the only way to disclose subjects. With most people being picture rather than word-oriented, you have to ensure that every view is clear. See to it that every drawing is not on the outline of another. In the event that you need a wider space to draw on, you can complete the drawings on a separate sheet of paper. However, be careful not to forget the top, bottom and side margins spacing per the USPTO or PCT standards. With the exception of graphical representations that would require writings to be vertical, any other writings on the drawings have to be horizontal; reading from left to right. The letters ought to be durable and uniformly thick. They have to be written such that they have a satisfactory reproduction characteristic. Contact us to learn more about patent drawings. If you are a creative person, you’ve no doubt thought of ways to make objects that we all use more handy, attractive, or useful. Whether it’s something like a more comfortable backpack strap, an ergonomic chair, or a shampoo bottle that is easier to hang on to, you believe people would be eager to buy it. To make sure no one steals your idea, and you control who profits from it, you will need to patent your new design. To protect the aesthetics of your creation you will probably need a design patent, rather than an utility patent. Because the patenting process can be lengthy, and possibly expensive, it is important to be clear which type of patent to apply for. A design patent covers the non-functional, unique appearance of an item. It is applicable to changes in the appearance of the object, not its overall function. Utility patents are issued for designs that change or improve the actual function or utility of an object. It is often necessary to seek expert advice on this matter since the distinction may be difficult to determine. To obtain a patent, images of your design are required by the United States Patent and Trademark Office (USPTO). 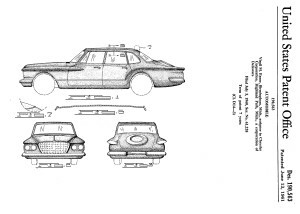 You will need a set of precisely detailed design patent drawings. The drawings must be accurate, clear and complete. You may also need multiple views to establish the complete appearance of the design. Drawings details must clearly reflect the form, material and surface finish of the object. The object should appropriately fill the space, and the viewing angle must be appropriate. High quality, non-glossy paper should be used, and be free of erasures. Solid black shading is only allowed to represent the color black and color contrast. Planes not visible through the surface cannot be used. Various line weights, line shading and stippling are used to show the size and surface contours of the object. Photographs may be submitted in lieu of drawings, although they do not guarantee the same degree of protection. They must be taken under precise conditions, and seldom have the same level of detail drawings do. Photographs must be limited to the design only, with no background or extraneous objects visible. Inventia Patent Drafting has helped many businesses and individuals to navigate this crucial aspect of the patenting process. Contact us to see how we can provide you with the professional design patent drawings you will need. Clouding IP’s lawsuit is based on a patent the company said it owns regarding file synchronization technology used by some of the biggest players in the cloud storage market. Among those being sued under the lawsuit are Oracle, Apple, Google, Amazon.com and Rackspace Hosting. If Unified Patents is successful in its pursuit, it could be an ever so slight victory against what many experienced in the field of patents believes is an epidemic. Entities enforcing patent rights against a supposed infringer for a product it does not produce or a service it does not provide. The enforcement of these “rights” is nothing more than an attempt by these entities to collect licensing fees. Such entities are commonly known as patent trolls and are drawing increased attention from lawmakers. The pressure to address this ever-increasing abuse of the patent process is growing. So much so that Congress is scheduled to address the issue this fall. In a bill sponsored by Congressman DeFazio of Oregon, all court costs (including attorney fees) would be recoverable from the Patentee once it was determined that the patent was invalid or had not been infringed. The President too has placed his administrations sites on trying to combat this issue. In recent executive actions and legislative recommendations the President has made moves requiring patent applicants and owners to designate the ultimate parent owner in control of a patent. Under the current system entities can create shell companies or exclusive licensee arrangements to assert a patent, merely for the purposes of collecting licensing fees. Because current USPTO assignment records do not require these arrangements to be revealed, the true owner of the patent remains concealed. It is evident that the lucrative nature of patent trolling will continue to bring about lawsuits. It is also apparent that businesses and the government alike are pursuing efforts to curtail as much of the abuse as possible. With those two things being the case, it is critical that inventors and innovators of new technology protect themselves. If you have an invention and are looking to protect yourself from such unscrupulous types contact us today.